Case Histories, the popular television series based on Jackson Brodie detective novels by Kate Atkinson, is coming back to our screens later this year. And I for one, can’t wait! If you fancy being on-screen with Jason Isaacs* (pictured above), then Sunday is your lucky day. Case Histories is looking for extras for this Sunday – 30 September – in Edinburgh. And if being in the same room as Mr Isaacs is not temptation enough, the brief is: to be at a party. Sounds good to me! And… you get paid as well! *I believe there are other actors in this show but I only ever notice Mr Isaacs. This entry was posted in Cultural, Film Group and tagged Case Histories, Edinburgh, film extras, Jackson Brodie. Here’s a list of what we’re seeing so far. You’re welcome to buy tickets and join us. (Drop me a wee text to 07881 900 251 so I can let you know the meeting up plans etc for any shows you book). 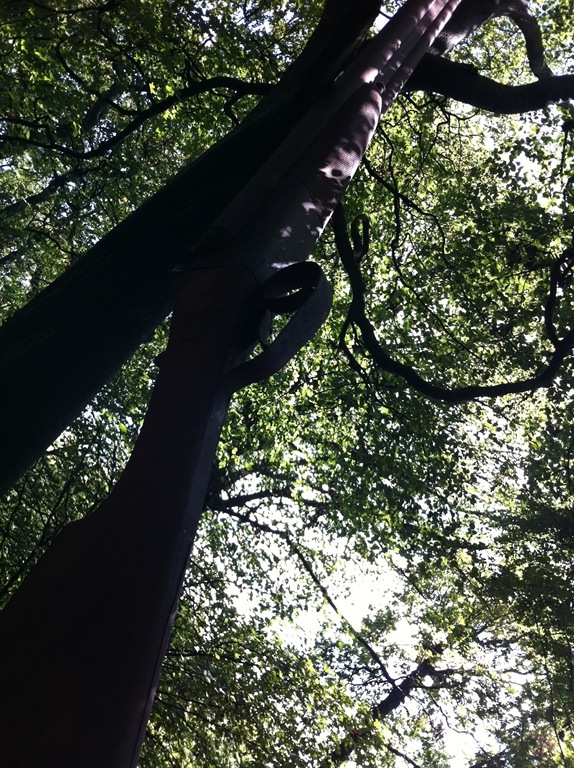 This entry was posted in Cultural, Events, Social and tagged Edinburgh Fringe. While our main website is down, we’re putting our events here so you can view and book via email. Join us in the beautiful grounds of Holyrood Park for a celebration of fine food and drink and culinary talent. If you can’t make this session. Foodies is also on on Saturday 13 and Sunday 14 August. 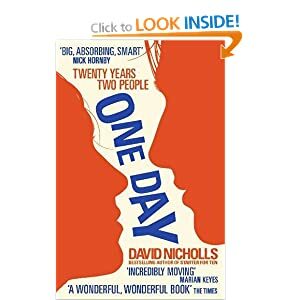 Booking: Just turn up – pay on the day. Outdoor Fitness, come along for outdoor, fun and fitness whatever the weather! All fitness levels welcome, options for people returning to exercise and for exercise junkies who want to be challenged. Whether you want to get in shape for the beach or boost your fitness this is for you! Cucina at Hotel Missoni is a delight. The hotel is known for its contemporary and colourful design and Cucina Restaurant is its vibrant hub. Authentic modern cooking inspired by classic Italian cuisine, it’s a real winner. This is the Sunday Brunch Club’s first visit to Cucina and I know it will be popular so do book early. The perfect haven during a busy day of Fringe shows. You’ll need good walking boots, waterproof clothing and layers as weather can be changeable. Meeting point: Inverleith Park, East Gate (opp the Botanics) Booking: Just turn up – pay on the day. One of my first, and favourite munros. A good path up and fantastic views. This is a moderate climb suitable for everyone. There are a few steep parts but it’s mostly gradually ascent. The picture above is from the last time SBC climbed Ben Lomond in April 2009. It was a beautiful sunny day, lets hope we get the same again this time. 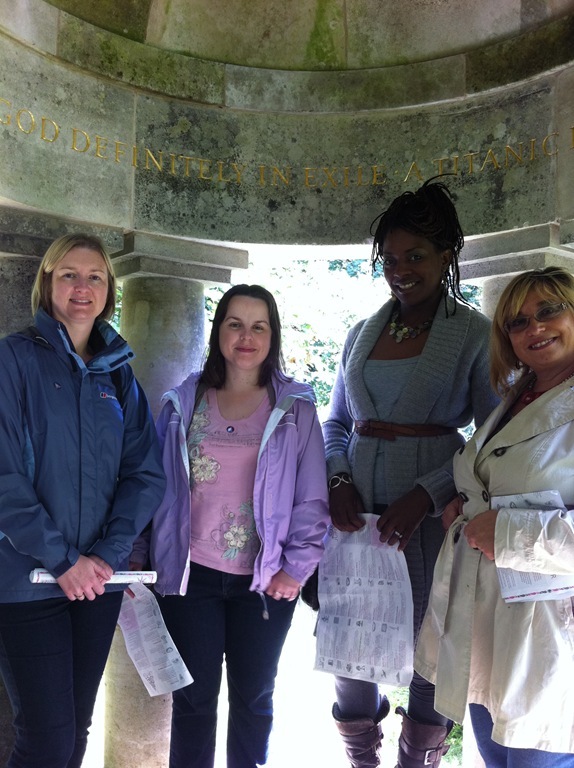 We’ll be walking over lunch time so bring a packed lunch and water with you. You’ll need good walking boots, waterproof clothing and layers as weather can be changeable. Remember your sun protection too, you never know! We will be meeting outside The Dome (bar) in George Street on Sunday morning to arrange car sharing. If you have a car please bring it as you can always leave it at George Street if there are too many cars. Parking in town is free on a Sunday. Remember to give a contribution towards petrol to your driver. Insist if necessary! If you prefer, you can meet us in Loch Lomond car park at 11am. Martin Wishart’s Michelin-star winning restaurant in Leith is renowned for excellent food and service. This new city centre restaurant is a brasserie which opened on the 14 August. Our first visit was so popular that not everyone got a place so we’re doing it again! If it’s your first time look out for Stephanie or give her a call on 07881 900 251 when you arrive. We absolutely LOVED SKYbar last month so we’re heading back again. We’re starting the weekend a day early and moving our Friday drinks to Thursday to go to the SkyBar. It opens on the last Thursday of each month and has fantastic castle views. Great way to meet lots of new people and have a few laughs. There’s a complimentary drink for everyone who arrives before 8pm (a cocktail, glass of wine, bottle of beer or soft drink). Jason’s legendary Singapore slings were a big hit last month. Remember there’s a barbecue on too so you don’t need to dash home for dinner first. Email us to meet up beforehand. A friend in London told me about this show she saw there and can’t wait to see again in Edinburgh. It’s incredible in the true sense of the word. The dinner at Crescent on 6 August sold out within hours so we’re offering it again. After the super evenings we had at Charlie & Evelyn’s Table, Kitchen Porters and My Home Supper Club, we’re delighted to be dining with Crescent Secret Supper Club. These fabulous secret dining clubs in the homes of enthusiastic foodies are always a thrill. It looks lovely and has already received rave reviews. Get in quickly though as it seems that Crescent might only be around for August. Find out more on the website. This entry was posted in Active, Cultural, Social and tagged Sunday Brunch Club events. 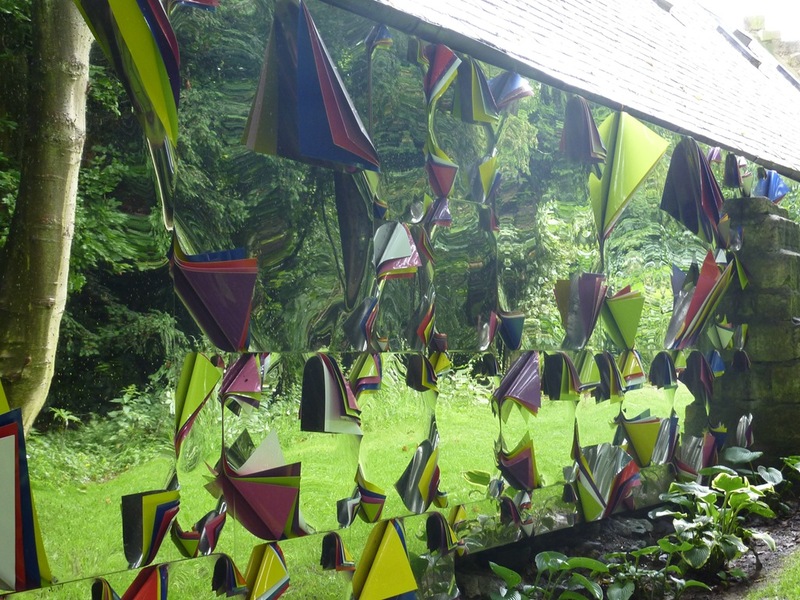 On Saturday we had a lovely, lovely afternoon at Jupiter Artland the contemporary sculpture garden just 30 minutes west of Edinburgh at Kirknewton. 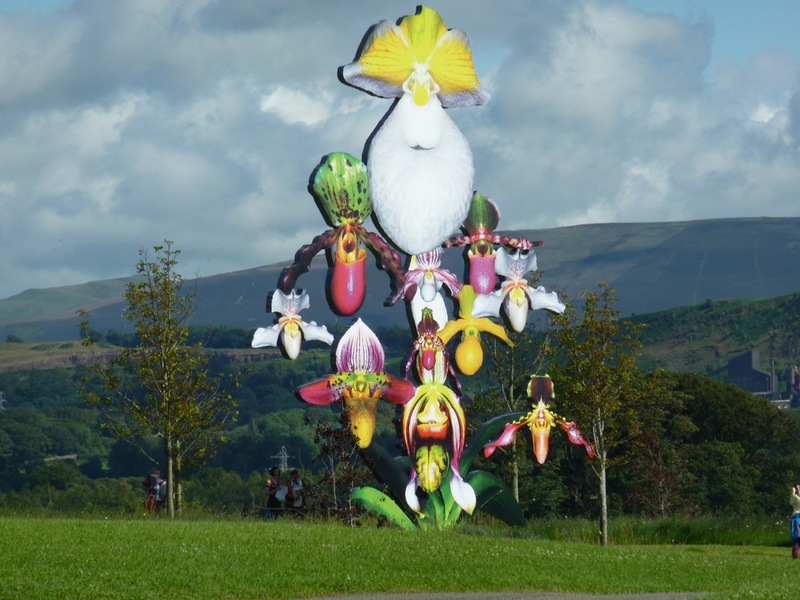 It really is incredible to see these sculptures set against a backdrop of landscaped gardens and ‘wild’ forest. Here’s our day in pictures. 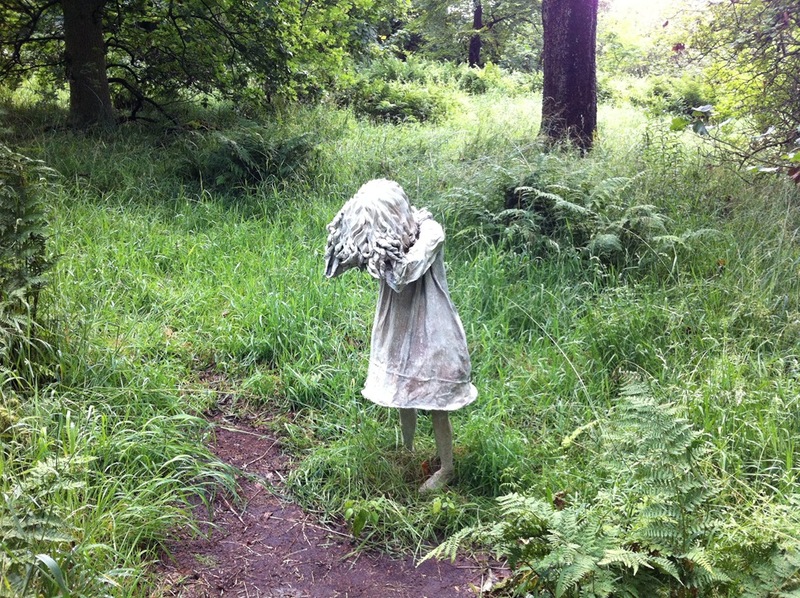 You can find out more about the works and artists on the Jupiter Artland website. 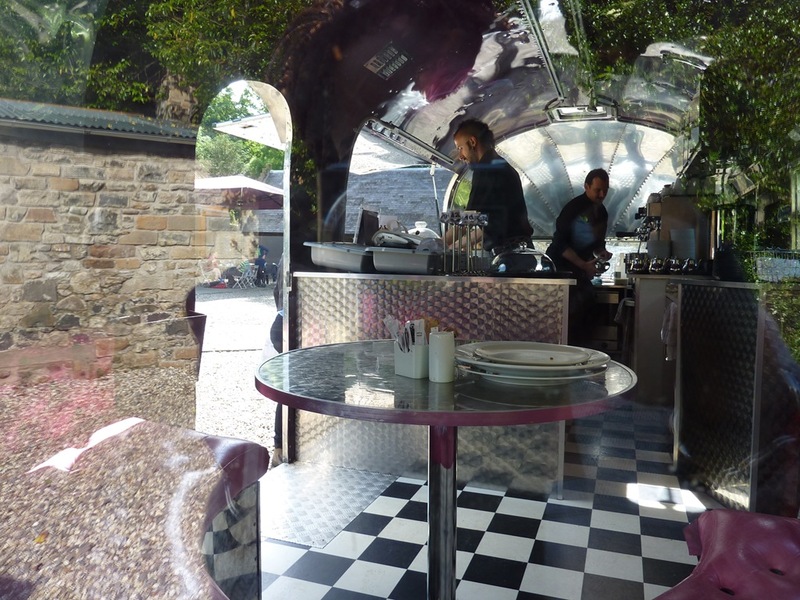 Jupiter Artland also has a fabulous cafe serving delicious salads and sandwiches. 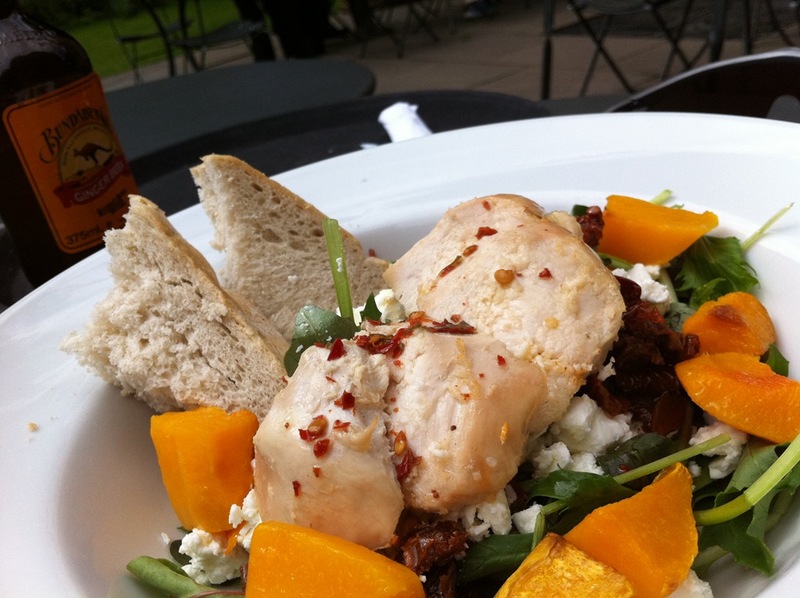 I absolutely loved my chicken, butternut squash and feta concoction. Though rain had threatened in the morning, we arrived to glorious sunshine and whiled away a few hours in the garden over a long lunch. 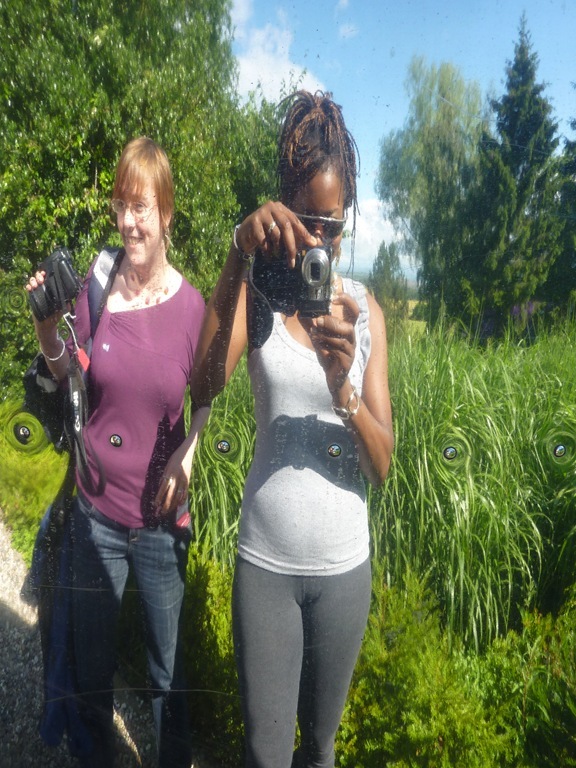 Viv and I having photo fun in the fabulous mirrored caravan/cafe. 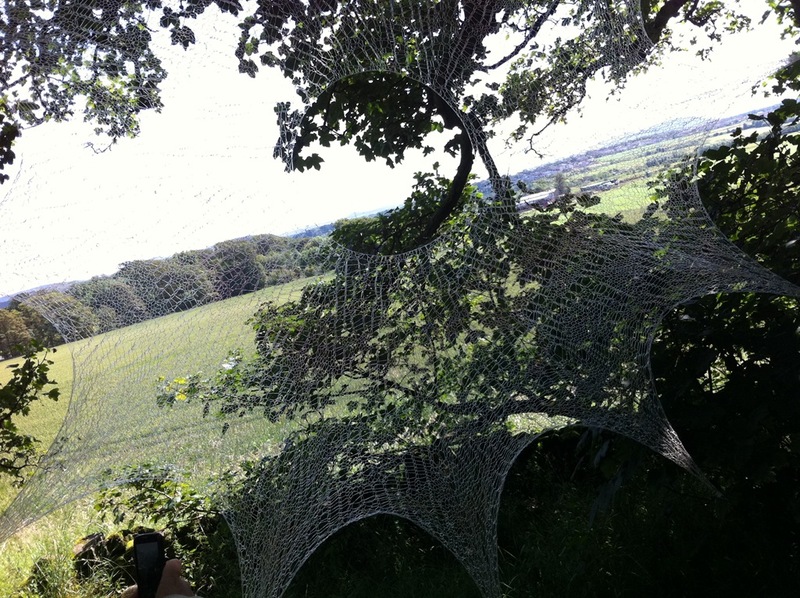 This entry was posted in Art Group, Cultural and tagged Jupiter Artland.